True Wild Life | Beetle | The beetle is a small sized invertebrate that is known to be incredibly versatile and is found in numerous different shapes and sizes. Beetles are found in nearly every different habitat on Earth and are only absent from the freezing polar regions. The beetle has the largest number of sub-species out of all the insects, with 40% of all recognised insects being classed as beetles. There are more than 350,000 different species of noted beetle, however, scientists estimate the real number is between 4 million and 8 million beetle species. As with other species of insects, the body of the beetle is comprised of three sections all coated in the hard outer shell, which are the head of the beetle, the thorax of the beetle and the abdomen of the beetle. Beetles also have antennae which are used to understand the surroundings of the beetle and are made of about 10 different sections. Beetles are believed to play a vital role in whichever ecosystem they are inhabiting mainly as they consume the debris from plants and animals including fallen petals and animal dung. All animals that ingest decomposing material are working wonders for the soil as they are consuming a large proportion of the compounds that would otherwise be absorbed into the soil, such as carbon dioxide and nitrogen. 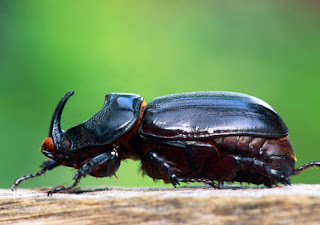 The beetle is an omnivorous animals and feeds on whatever it can find but generally plants and fungi and the debris from both plants and animals. Some bigger species of beetle have been known to eat small birds and even small species of mammal. Other species of beetle feed of the dust from wood and therefore enjoy burrowing themselves into trees. Due to their small size and wide, diverse range, beetles are prey to numerous species of animal from other insects to reptiles, birds, fish and mammals. The exact predators of the beetle however are largely dependent on the size and species of the beetle and the area in which the beetle inhabits. Recently, the Asian long-horned beetle has been found in number of North American states with the beetle having quickly gained a name for itself as an agricultural pest. The Asian long-horned beetle is a type of bark boring beetle which means that they dig themselves into wood. what kind of beetle is in that last photo? 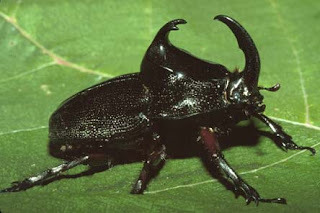 I live in Tahlequah, Oklahoma and I found 1 of these beetles in my front yard. It is pprox. 2 & 1/8th inches long and 3/4 of an inch wide. It has been over 100* degrees for the last 11 days . The beetle was dead when I found it. According to the GA Dept of Ag, the beetle stated above as an Asian long-horned beetle a different beetle, they say "The Asian Longhorned Beetle (Anoplophora glabripennis)". And the picture they have is completely different. 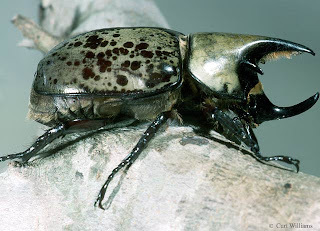 The one I found is an Eastern Hercules Beetle. i found one n its still alive it was on my backdoor really awesome never seen a beetle this big before! We found one in Jonesville,NC. It was dead. It was found after several days of hot weather. 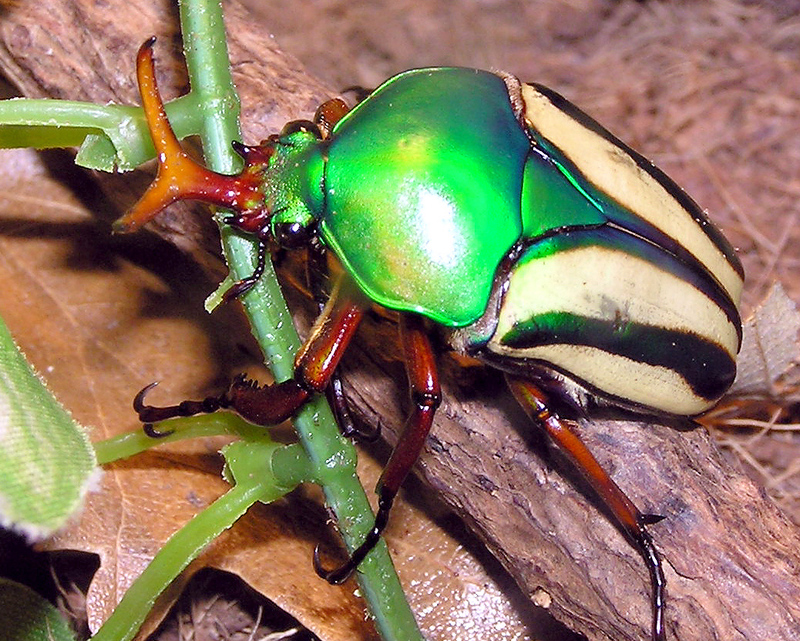 What is the name of the last beetle pictured in your blog? The metallic one with spots. I just found one in the woods by my school, and my students are curious to know what kind it is.